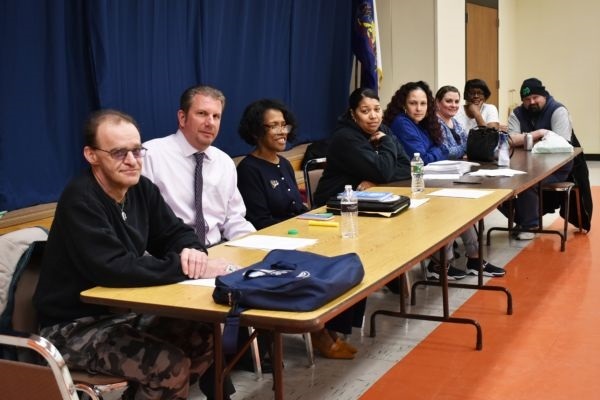 Over 300 members of UFCW Local 1776KS who work at Berks Heim Nursing and Rehabilitation in Leesport, Pa., ratified a new contract on April 2 that preserves long-term, quality resident care and ensures job security. The new five-year agreement, which was approved by an overwhelming margin, includes a 3 percent yearly wage increase over the previous contract’s 2.5 percent year-over-year wage increase. The agreement also protects employees’ health care, and locks in language that secures Berks Heim employees’ jobs for years to come, with significant penalties if the county were to violate the agreement. In addition to the approved contract, Local 1776KS, along with SEIU Healthcare PA, which represents the nurses in the facility, has been collaborating with county officials, as well as Senator Judy Schwank and Governor Tom Wolf, to work on solutions to secure additional funding for Berks Heim and other high-performing, quality long-term care facilities through state Medicaid reimbursement programs and other funding mechanisms. With this joint effort, Berks Heim has seen increased state funding through Medicaid reimbursement rates and other funds over the past two state budgets. During the week leading up to Workers’ Memorial Day on April 28, the UFCW will once again join workers in the U.S. and around the world to honor the thousands of workers who have been killed on the job and the millions of workers who have suffered from injuries, sickness or diseases in their places of work. The theme of this year’s Workers’ Memorial Day is “Safe Jobs – Every Worker’s Right.” The International’s Occupational Safety and Health (OSH) Office is encouraging Local Unions in all regions to be involved during the week leading up to this important day by organizing actions, activities or observances in your workplaces and communities to highlight the toll of job injuries and deaths and to protect the progress that has been made to make jobs safer and save lives. Materials developed by the AFL-CIO regarding Workers’ Memorial Day are available here in English and Spanish. 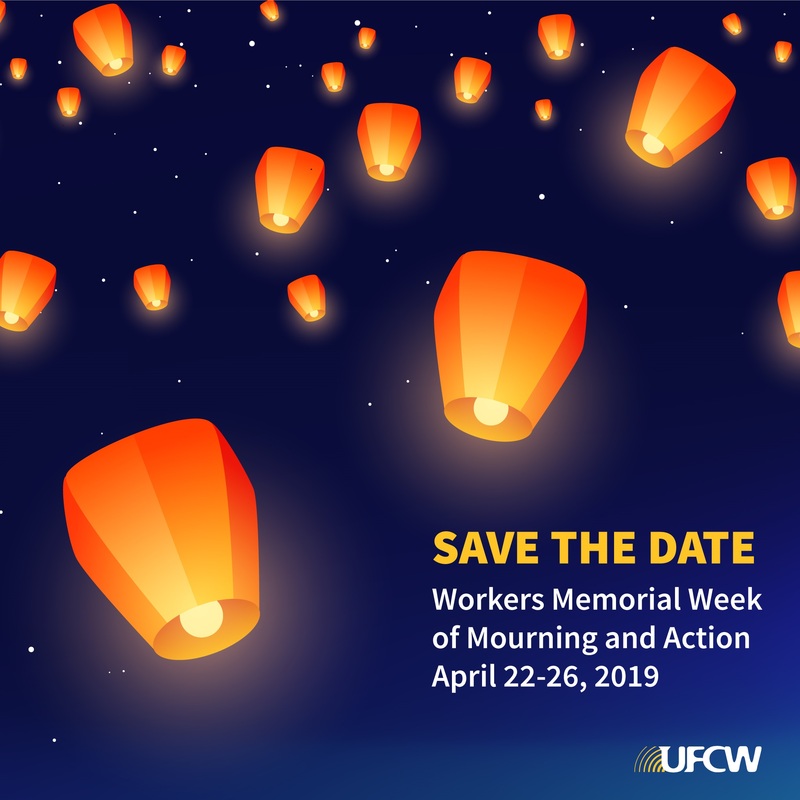 If your local is attending or hosting an event next week or on Workers’ Memorial Day, please share that information, along with photos, with Julie Anderson at janderson@ufcw.org. 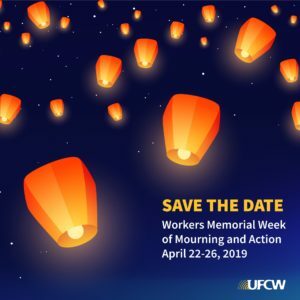 If you have any questions about Workers’ Memorial Week, contact Fernando Tapia at ftapia@ufcw.org.